This product consists of amino acids BCAA (L-leucine 50 000 mg L-isoleucine 12 500 mg L-valine 12,500 mg) in a ratio of 4: 1: 1 Leucine, which is most important for protein synthesis in the body. These BCAAs enhance muscle growth, regeneration and protects muscles regularly loaded before the catabolism. They are suitable in the period of power or heavy volume training. The product is sugar free and every tablet we find 1,500 mg of BCAA. 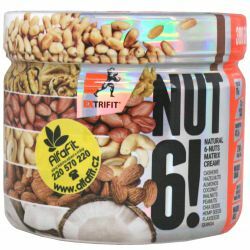 The product is intended primarily to improve recovery after hard exercise, muscle mass protection, promote muscle growth and intense sporting individuals. Dispense by weight. 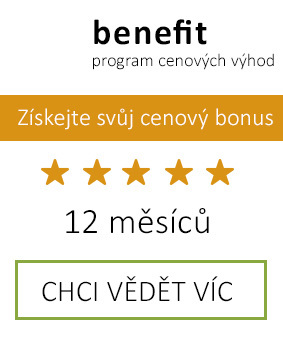 A weight of 90 kg 6 tablets per day, 90 to 120 kg 8 tablets per day, over 120 kg of 10 tablets a day. To improve performance, use half the daily dose 45-60 minutes before exercise. For maximum support regeneration use the second half of the dose immediately after training. Do not exceed the recommended dosage. According to recommended dosage swallow the tablets with a sufficient amount of water. Not suitable Milk and alcoholic drinks. Chew! It does not replace a varied diet. Not intended for children, pregnant and lactating women. Keep out of reach of children! Store in a dry place below 25 ° C away from direct sunlight. Do not freeze. Producer is not liable for any damages caused by improper use or storage. L-leucine, L-isoleucine, L-valine, a filler microcrystalline cellulose, maltodextrin and hydroxypropylmethyl cellulose, magnesium stearate anticaking agent. 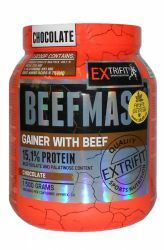 Extrifit BeefMass is gainer containing isolate, which contains 99% of bovine proteins for maximum increase in strength and muscle mass.